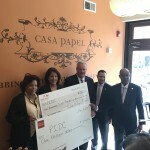 Wells Fargo Diverse Community Capital and Wells Fargo Regional Foundation invest combine total of $1.2 Million in PIDC small business lending activity. 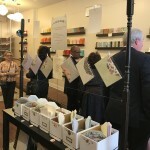 Casa Papel, a Northern Liberties, woman-owned, small business, announces launch of e-commerce website financed by PIDC investment. 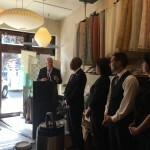 PHILADELPHIA (May 3, 2017) – PIDC, the City of Philadelphia, the Chamber of Commerce for Greater Philadelphia, Wells Fargo, and other Philadelphia business leaders joined Cecila and Nestor Torres, owners of Casa Papel – a boutique paper design and print company – to celebrate small business growth in Philadelphia and announce a new investment partnership. 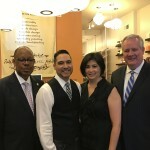 The $1.2 million investment from Wells Fargo Diverse Community Capital and Wells Fargo Regional Foundation will expand PIDC’s small business lending activity and foster the growth and development of minority and women-owned businesses across Philadelphia. The Torreses used financing from PIDC to create an e-commerce site for Casa Papel which was also announced and revealed to the public today. 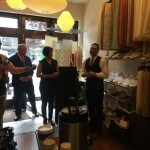 They worked with fellow Philadelphia small business owners and PIDC borrowers, Tracey and Mia Levesque of YIKES, to design and launch the e-commerce site. 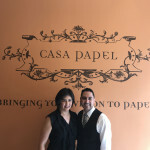 Casa Papel is just one of 75 small and mid-sized businesses that received PIDC financing in 2016, which totaled $19 million. 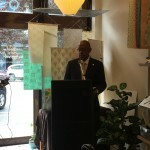 More than 60 percent of those loans are going to minority and women-owned businesses. PIDC has aggressively expanded its business lending to small businesses and entrepreneurs. 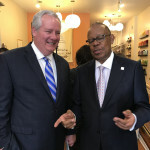 In the last five years, PIDC has made more than 360 loans to small growing business in 94 percent of the zip codes around the city investing more than $117 million. Wells Fargo’s commitment comes from two programs. $1 million from the Diverse Community Capital Program, which aims to distribute $75 million in lending and grant capital over a three-year period, and $250,000 from the Wells Fargo Regional Foundation. 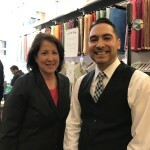 Both programs aim to collaborate with CDFIs like PIDC Community Capital to support underserved business population and to address the challenges that diverse small business owners face. Since its launch in 2013, PIDC has successfully raised more than $20 million of private capital and leveraged $5 million in private and public equity through its CDFI subsidiary, PIDC Community Capital, to support expansion of products to serve small business growth.